Bhubaneswar: Due to heavy rain in catchment areas as well as in the Bhadrak and Jajpur district, a flash flood has occurred in river Baitarani. 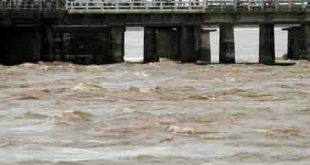 Two blocks of Bhadrak district namely Bhandaripokhari and Dhamnagar has been affected. About 20411 persons in 25 villages of Bhandaripokhari Block has been affected. Besides, 200 hectres of crop land of Bhandaripokhari block and 654 hectares of crop land of Dhamnagar block have been submerged. Two power boats and one health team have been deployed in Solampur village under Bhandaripokhari Block. ODRAF team has been stationed at Dhamnagar. 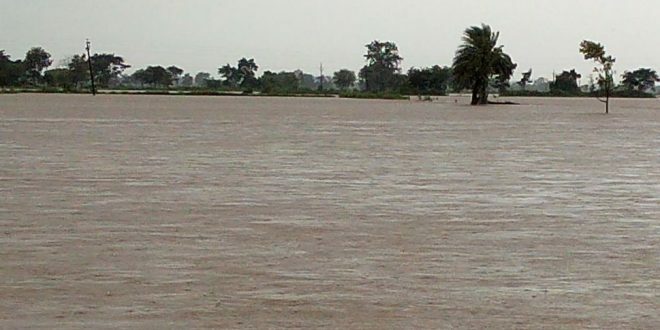 In Jajpur district, flood like situation has been occurred in Jajpur, Dasarathpur and Korei Block. 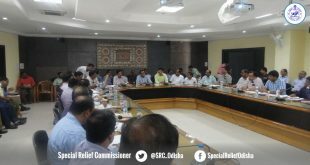 Two ODRAF teams have been deployed at Jajpur and Dasarathpur block. Due to rise in water level in river Subarnarekha at Rajghat, flood like situation has been occurred in 5 GPs of Baliapal Block of Balasore district. 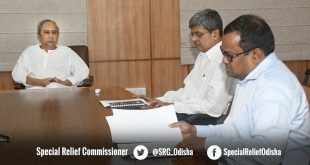 The district administrations of Bhadrak, Jajpur and Balasore are closely monitoring the situation.